The BT004 provides four volt free contact relay outputs with a current rating of up to 16Amp each controlled over a HC06 Bluetooth serial port. 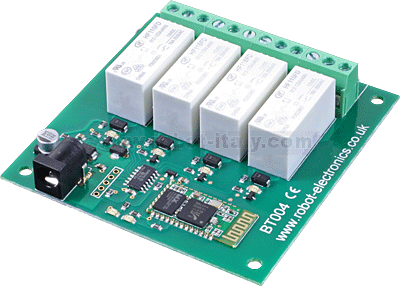 The module is powered from a 12vdc supply which can be regulated or unregulated. 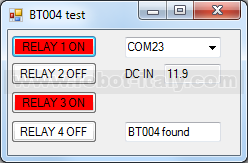 The BT004 provides four volt free contact relay outputs with a current rating of up to 16Amp each controlled over a HC06 Bluetooth serial port. 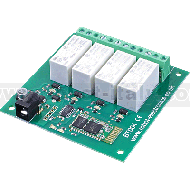 The module is powered from a 12vdc supply which can be regulated or unregulated. The DC input jack is 2.1mm with positive core polarity, DC supplies are required to supply at least 500mA at 12vdc. The relays are SPCO (Single Pole Change Over) types. The normally open, normally closed and common pins are all available on the screw terminals. 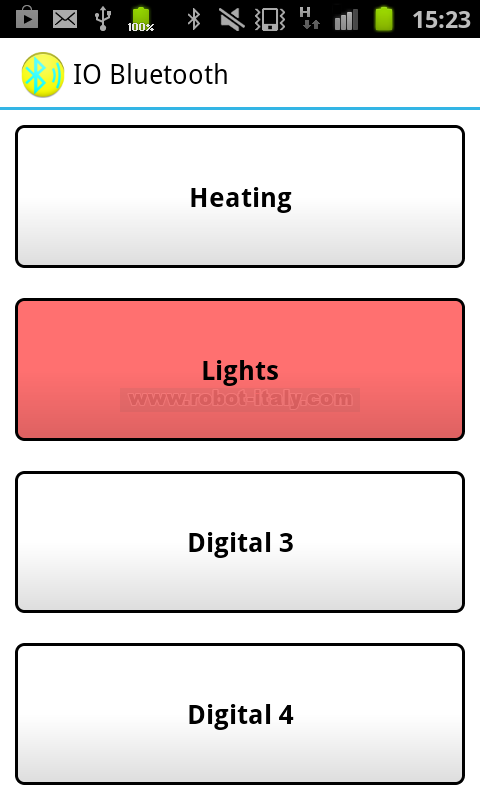 The BT004 provides a red LED mounted immediately next to each relay to indicate whether it is in a powered state (LED on), there are also two LED's near the power connector, one indicates power and the other will flash when the board is waiting for a connection and remain lit when a connection is present.